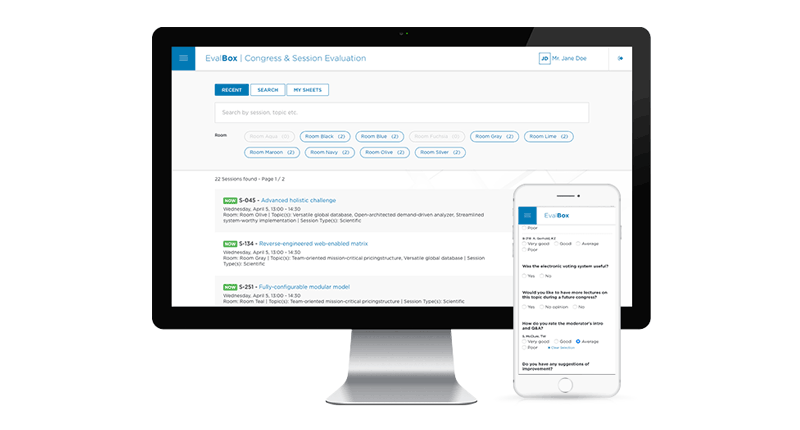 The EvalBox is a responsive web application for congress evaluation: the recording of lecture- and speaker-related questionnaires. The results are used to statistically evaluate the visitor’s impression of the quality and content of the event, and are often used to calculate the CME points to be awarded. The participant can fill in and submit questionnaires easily and conveniently on his or her smartphone or tablet. The organizer benefits from a flexible, easy-to-use administration with built-in statistics, reports and export, as well as the optional CME certificate add-on. Interested? Send us your request for information at contact@netkey.at. Do you have questions or want to get to know us? Please find all details in our full privacy statement. Click on the link below to download the T&C of netkey information technology gmbh as a PDF.